Philippines: Major Victory In The Battle Against Crush Videos. For three years, PETA Asia has been working with authorities in the Philippines to help them find and prosecute the makers of horrific “crush” videos in which scantily clad girls (one as young as 12 years old) are filmed stepping, standing, and stomping on and slowly crushing animals—from the smallest of mice to large dogs who are tied down and helpless. Now PETA Asia’s efforts to shut down the makers of these sick fetish videos have resulted in a landmark ruling against those who torture and kill puppies, rabbits, and other animals. Today, a Philippine court found Vicente and Dorma Ridon guilty of child abuse, animal welfare crimes, human trafficking, and wildlife-protection crimes and sentenced the pair to life imprisonment and a fine of more than 9 million pesos (US$198,000) each for their part in making the videos. This huge victory began with a single compassionate person who stumbled upon these vile videos and took the time to report them to PETA Asia, which then worked with authorities to ensure that the Ridons were located, arrested, prosecuted, and ultimately sentenced for their crimes. In videos made by the Ridons, one dog is seen being skinned alive and another burned with a clothes iron. Rabbits are seen having their ears cut off or flailing and screaming as they are set on fire. One video shows a puppy crushed until the animal vomits up internal organs. The Ridons’ long sentence is a warning to anyone involved in the vile crush video industry that there are grave consequences for harming animals. Their sentence is also a powerful reminder of PETA Asia’s commitment to helping animals no matter how long it takes. Thank you for all you do for animals in need. 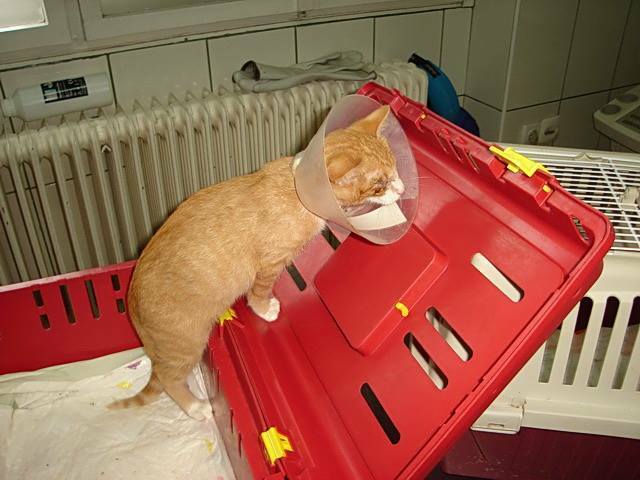 Your compassion is helping PETA and our international affiliates save animals’ lives. ‘Comments’ Section – Are Non Animal Welfare ‘Advertisers’ Going To Close The Section Down ??? We are experiencing now a certain growing number of comments which are in no way related to the subjects covered by this site – namely ‘animal welfare’ specific. As non animal welfare comments; but specifically advertising other various services are being made; they are immediately being marked by us as ‘spam’. All comments not directly related to the issues of this animal welfare site will be identified and immediately deleted for the future as spam. If the situation increases and becomes that bad; where people only want to advertise their own business rather than deal with the issues of the site; we will have no option but to completely close down the comments section of the site. The situation now is taking a lot of time to sort out good comments from un-associated welfare issues. This will be a shame as many visitors / supporters are leaving worthwhile and very supportive comments on the site. We can do better and we know that; we happily accept gripes about the site telling us where we have gone wrong or maybe where we could do better. All comments are noted. As with many things, we do not wish to stop all comments to the site; but it is now a case of the ‘un-animal’ few (lots actually !) starting to ruin the situation for the many who are supportive of welfare and the site. We will be closely monitoring the situation over the next week or so, and will then take action if required. Continue please sending us your animal comments associated with the site in the meantime; but if we continue to be deluged with spam comments advertising everything but animal welfare related issues; then there will be no choice on our part but to completely close down the ‘comments’ section; which will be a great shame. Some people are ruining everything for everyone if this happens. We have no choice in who leaves a comment on the site; but can delete in advance and mark as ‘spam’ if this is what the comment is considered. 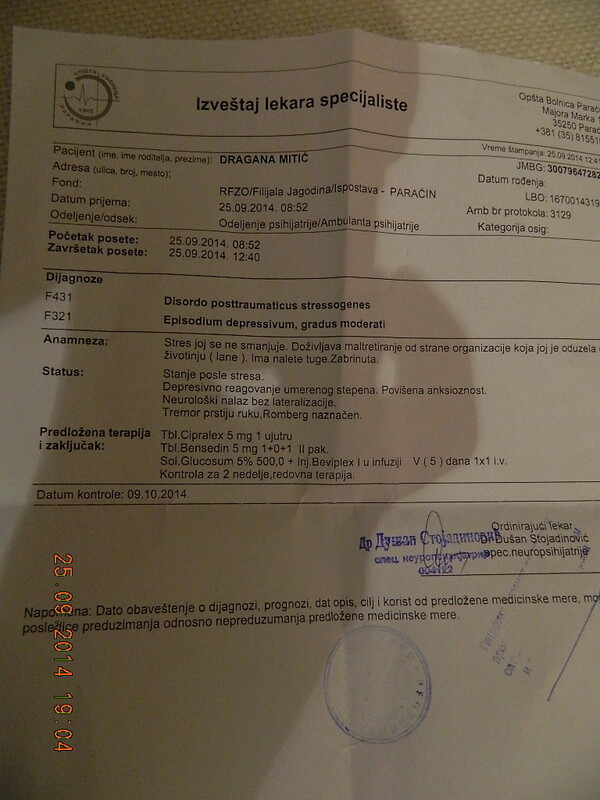 Serbia: ‘Morgan’ update – Sunday 28/9/14. ‘Morgan’ update – Sunday 28/9/14. Morgan had the eye flap stitches removed yesterday and although his right eye looks a lot better than before the surgery, it’s still too early to say whether his vision is saved or not. 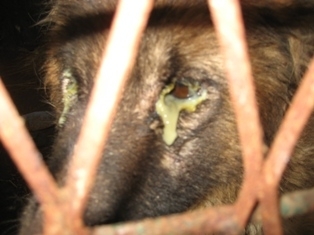 Aside from receiving Longacef every day, his eyes (or better said his right eye and the hole which was left after his left eye leaked out) are being treated locally, with eye drops and antibiotic ointments. 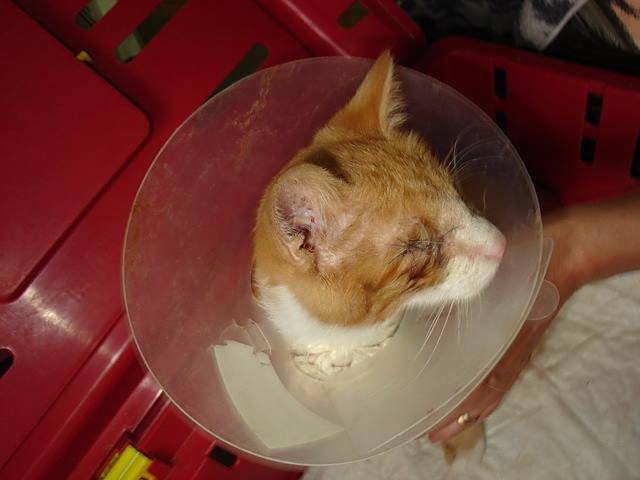 Once he recovers and stabilizes, his left eye will be enucleated. In a victory for gray wolves in Wyoming, a federal judge reinstated federal protection under the Endangered Species Act, which just made life harder for anyone who had their sights set on killing them. Wyoming had been fighting to get the authority to manage wolves since 2003, but kept getting denied over its failure to come up with a reasonable plan. 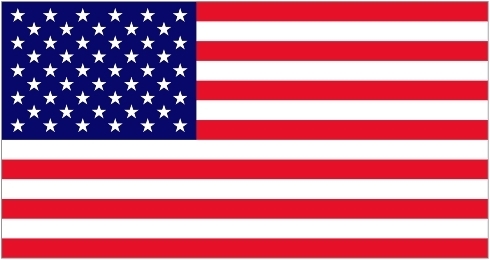 Unfortunately, the state finally succeeded in 2012 after the U.S. Fish and Wildlife Service (FWS) determined that their numbers had rebounded enough to take federal protection away. Under the state’s plan, wolves were declared a trophy-game animal, which allowed for seasonal hunting and trapping, and a predator that could be shot on sight in unlimited numbers in more than 80 percent of the state. According to the Center for Biological Diversity, 219 wolves have been killed under Wyoming’s management since the delisting. Environmental groups including Earthjustice, the Natural Resources Defense Council, Defenders of Wildlife, the Sierra Club, and the Center for Biological Diversity challenged the 2012 ruling in court, arguing that the state’s management plan ultimately failed to ensure their future survival. 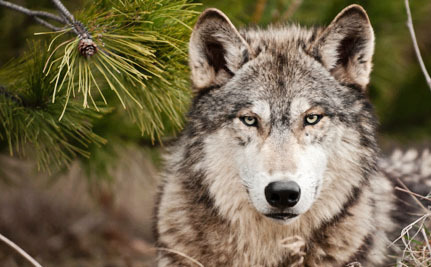 “Any state that has a wolf-management plan that allows for unlimited wolf killing throughout most of the state should not be allowed to manage wolves,” said Defenders of Wildlife president and CEO Jamie Rappaport Clark. While U.S. District Court Judge Amy Berman Jackson supported the determination that wolves aren’t in danger of extinction in the state, she ultimately ruled that the state’s plan was inadequate and unenforceable and that it was “arbitrary and capricious” of federal officials to accept it, relying on the state’s nonbonding promises to maintain a particular number of wolves. According to Reuters, Wyoming Governor Matt Mead said the state intends to take the matter to a higher court to block the judge’s order and allow the state to keep its current policies in place, which would include continuing licensed hunting and allowing wolves to be shot on sight, but for now wolves will be safe from the state’s hostility. This victory comes on the heels of another for wolves in Michigan, following an announcement that its 2014 hunting season would be cancelled. While wolf advocates continue to fight to stop the senseless persecution and ensure this iconic species keeps its rightful place in the wild, we still have to wait and see what will happen with the FWS’ proposal to strip federal protection for gray wolves throughout the U.S., which could be decided later this year. This is a very powerful video lasting over one hour; which shows both the bad and good sides of stray dog control in the Balkans. Nepal: Religion ? 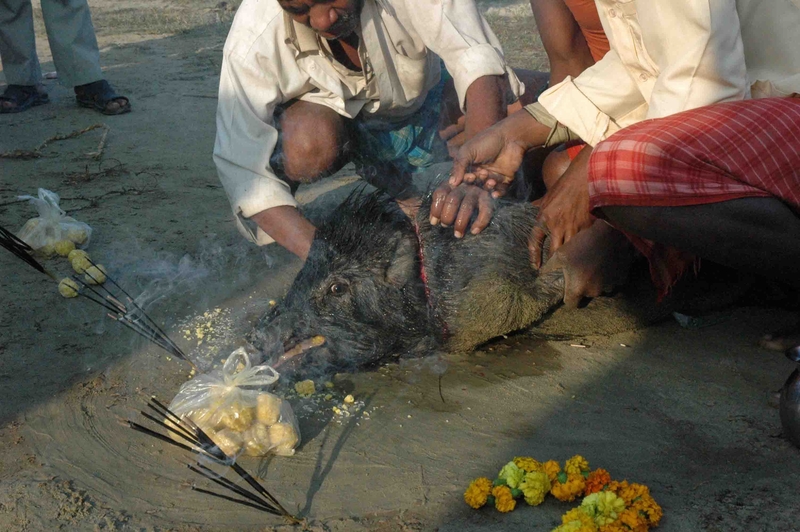 – ‘Gadhimai’ Festival This November. 250,000 Animals Could Be Mass Slaughtered In the Name of Religion. Take Action Now. Tens of thousands of buffalo were corralled into a gigantic pen. Then, 200 slaughtermen wielding swords were let loose into the enclosure. The buffalo were beheaded, one by one. It’s no easy task to behead a buffalo – and for many it took more than one attempt. 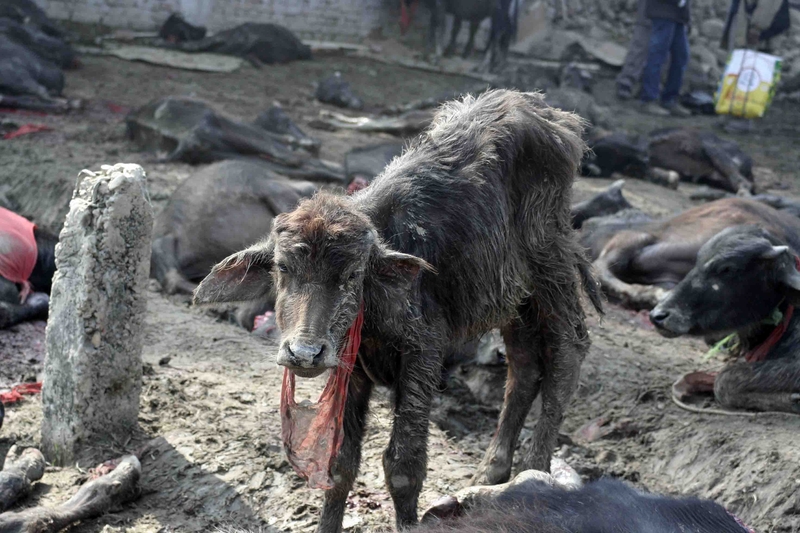 These are the reports that came out of the ‘Gadhimai’ Festival in Nepal in 2009, where an estimated quarter of a million farm animals were inhumanely slaughtered as part of the sacrifice festival. ‘Gadhimai’, as the festival is known, is set to take place again this Nov.
‘Gadhimai’ takes place every 5 years in the Bara District of Nepal, south of Kathmandu. For 250 years the festival has continued relatively unchallenged, but as news of the inhumane slaughter has spread internationally, animal welfare advocates have spoken out against it. The Nepalese Government provides significant funding, which makes this festival possible on its terrifying scale. In 2009 the Government paid over £32,000 for animals to be sacrificed. That’s almost 50 times the minimum Nepalese annual wage. 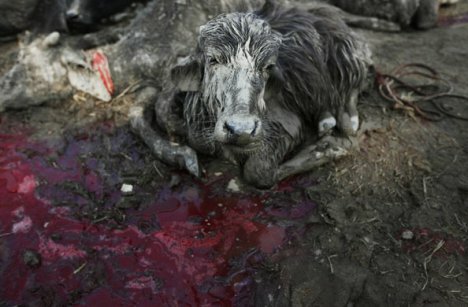 Please tell the Nepalese government they must stop funding this cruelty. CIWF is working closely with Animal Welfare Network Nepal to fight this festival and are supporting grass-roots work in the local community to create a groundswell of resistance. Please help to apply international pressure on the Nepalese Government by taking action now… before it’s too late for another 250,000 animals. Go to: http://tinyurl.com/kvxh4rf to take further action and also to sign a CIWF petition. 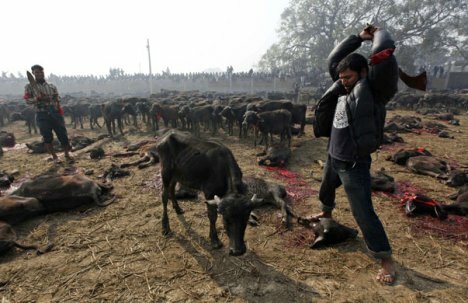 Further petition at http://www.change.org/p/stop-animal-sacrifice-gadhimai-festival-nepal-mass-animal-sacrifice – currently 31,000+ signatures. Past (2009 / 2010) SAV posts associated with this issue – WARNING – Posts contain images that many will find disturbing. 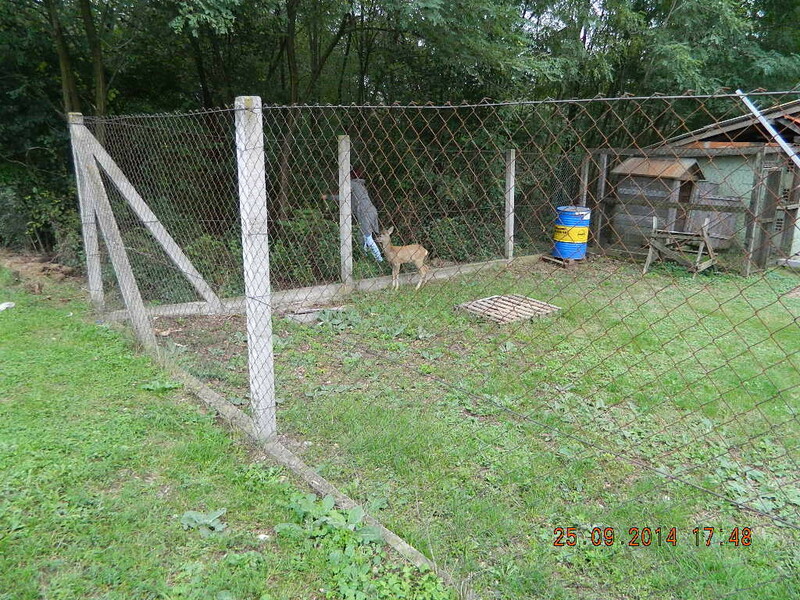 Video – The Bad and Good Side of Balkans Stray Dog Issues – Watch; Rage; Repent – The Government and Authorities Are The Irresponsible Party Here – A Very Corrupt Party !! One day, the people in authority will give up their personal corruption ideals and instead take the very well experienced expertise of international welfare groups who promote sterilisation as the only real way to reduce both owned and stray animal numbers. Watch the video and please feel for the pathetic individuals in authority who fail to recognise that they are going down the wrong road to reducing animal numbers in preference for their own financial gain and status. People in authority such as this are cowards. They do not deserve any respect – in fact they deserve nothing but the abuse that we and many others give them. This video will justify our side of the argument that long term stray sterilisation and a proper no kill management plane needs to be established by the authorities right now. So called ‘politicians’ and authoritarians who fail to accept and do what is right are nothing more than self interest thickheads. Thickheads such as these are not wanted as members of the European Union. We are forwarding this video to members of the EU; to the EU Animal Welfare Intergroup, and also to press and media across Europe. Unfortunately for many people; especially many in Europe, and also those in the USA; the video is not in English – but it does not need to be in another way – the excellent filming shows the reality of Balkans stray animal suffering at the hands of CORRUPT OFFICIALS which spread throughout the political system like a well oiled disease. Corrupt officials who are not welcomed in any way by ourselves and who we will endeavour to keep out of the EU. If there is one film that sums up the good and the bad side of Balkans stray animal issues; this is it. Watch, rage and repent – but enjoy the good parts also. Full respect to the good, caring and compassionate people of the Balkans who re trying to do the right thing for animals the political corruption and self interest which seems to run rampant through the political system. A bent and corrupt system. 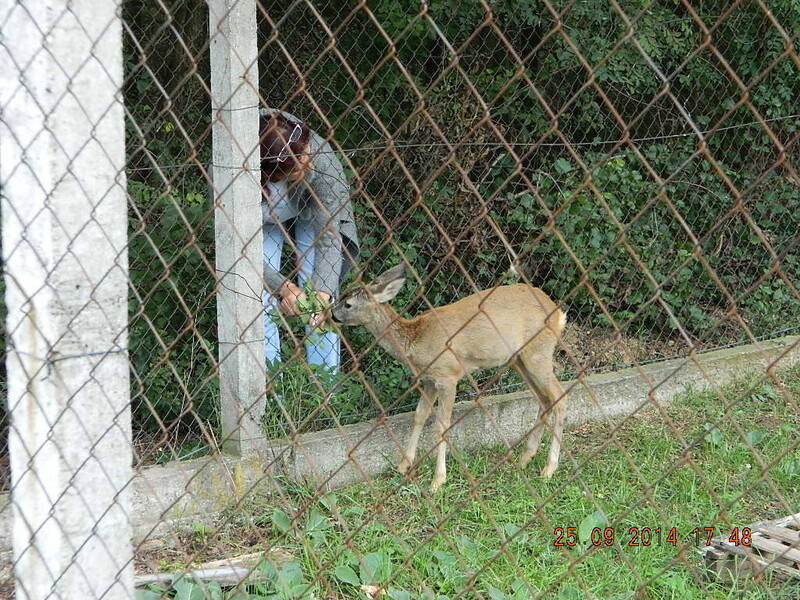 Serbia: ‘Nani’ Deer 25/9/14. Legal Action Now Being Considered. EU Animal Welfare Intergroup Informed of Situation and Serbia’s Failures To Implement National Legislation. 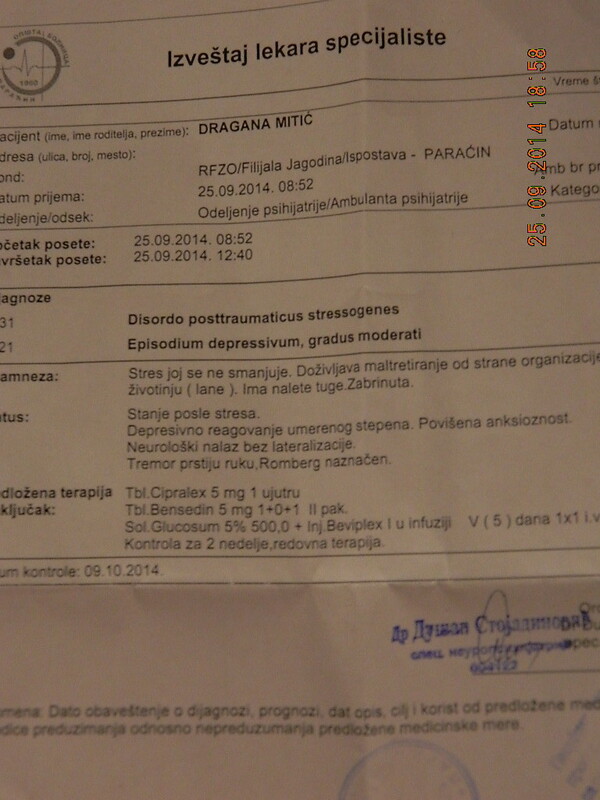 The situation now is that Mrs.Dragana Mitic has deep depression because she is very worried about the eventual fate of Nani deer. Mrs. Mitic has seen a psychiatric medical doctor several times; and you can see the documentation associated with this below. 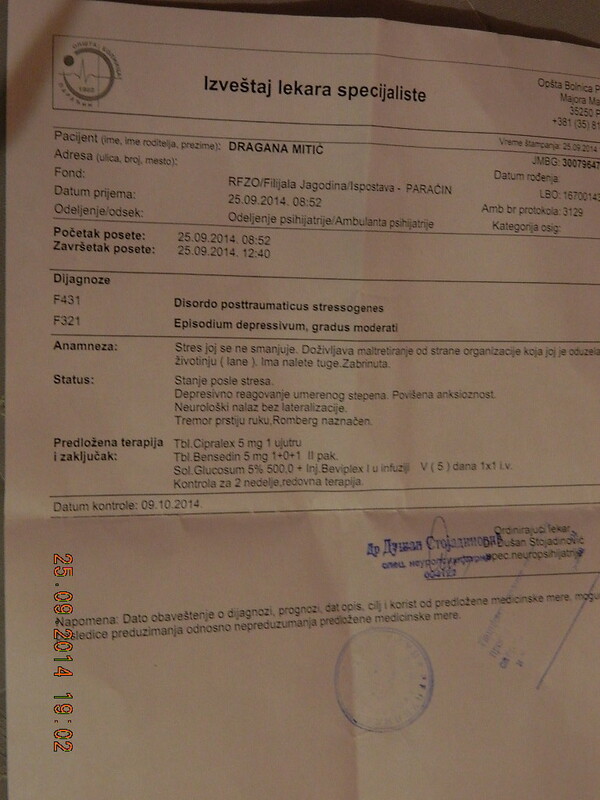 Because the Hunting Society `HajdukVeljko` kidnapped Nani deer in direct opposition to existing laws, and affected the health of Mrs. Mitic as a result; it is possible that she will now undertake a private charge. We fully support this and are also currently seeking advice on how we can also undertake a possible charge against the Serbian authorities and ministers who are failing to make a decision on Nani. We have already provided the evidence to the European Parliament and also to the Vice President of the EU Animal Welfare Intergroup. European Press and Media are currently on standby to be informed of the situation regarding Nani and the delay in decision making by the Serbian government / ministers. All of out SAV posts will be provided to the EU press if necessary within a few days if Nani is not released and returned to Mrs. Mitic. This current situation of Nani being held captive whilst the Serbian government turns an inactive blind eye to the situation cannot continue for much longer.